The tourism industry impacts children’s lives. Due to economic pull factors of the tourism sector, there is a correlation between child sexual exploitation and tourism. 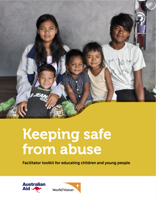 World Vision takes a ‘child safe tourism’ approach in working with governments, communities and the tourism sector to prevent children becoming victims of sexual abuse in travel and tourism. Through the use of education, training and public campaigning, these audiences are more aware of the vulnerabilities of at-risk children and are better equipped to build a more protective tourism environment. 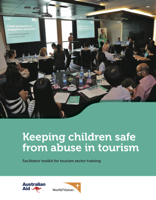 For information and resources on child safe tourism and how to help keep children safe from sexual abuse, please download the research reports and training curriculums.